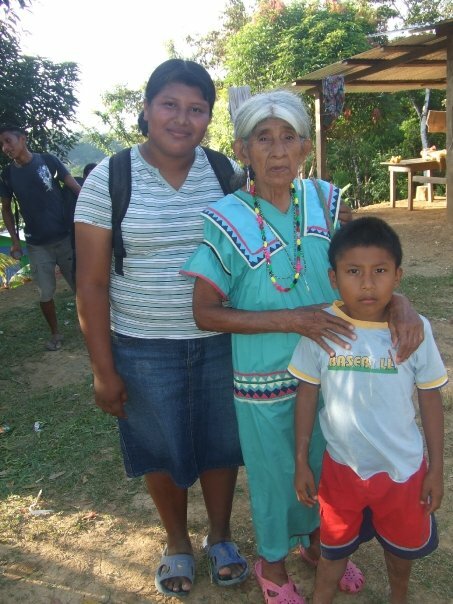 In the centre: Besigo, from Progreso, a Ngäbe indigenous community in Costa Rica. When I was nineteen years old, I volunteered in Progreso, a Ngäbe Bugle Indigenous reservation in Costa Rica. Progreso is a rural community of Indigenous peoples who are spread across a large mountain side close to the Panamanian border. There is one school and education is regarded as very important by the Ngäbe people. To get to school some children must hike in tropical heat for up to two hours. The children often arrive to school exhausted, where they then start studying in Spanish, a secondary language to their own. When it rains, rivers tend to block the roads and the kids have to be sent home early, carrying with them homework in Spanish rather than in their own language. During my first days living in Progreso I met Besigo who lived a bit further down the mountain with her husband and their entire family. 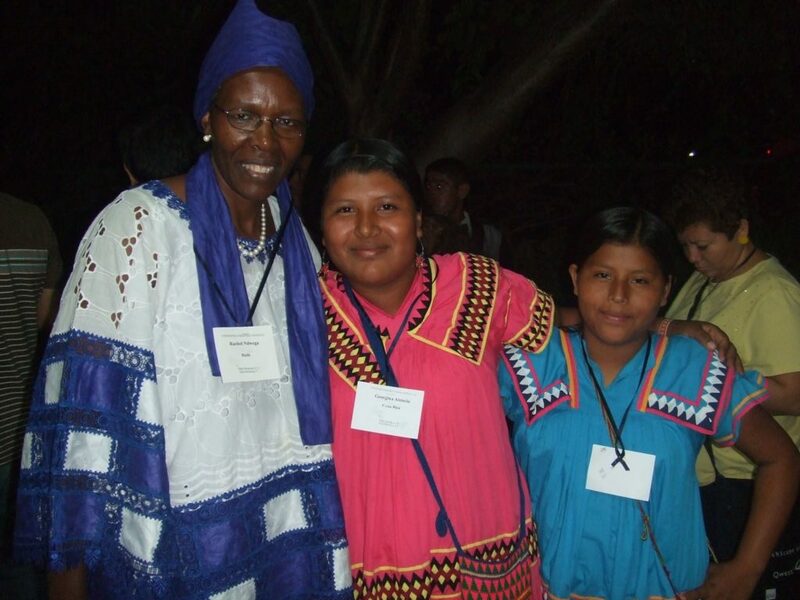 Besigo, who is in a way a pioneer within her own community, is among the women spearheading the community´s spiritual and material growth. She was one of the first individuals from her community to travel to a different continent when she visited Chile last year. She was also among a handful of individuals selected from her community to attend an international conference in Managua, she traveled for two days to meet people from Central and South America and discuss community building in an uplifting environment celebrating the diversity of Latin America. After my arrival in Costa Rica, Besigo and I soon became friends which was made easy by her openness and frank attitude. She has a special love for English and when I lived in Progreso we would often practice together at the high school, learning each other’s language. The high school which serves a small population of Indigenous youth, conducted all teaching in Spanish, which is mostly used only by the Ngäbe when they are at school. All of the teachers were non-Indigenous and none spoke their language. Ngäbere, the native language of the Ngäbe people, is a great source of pride for the Ngäbe’s and an important tool to hold on to their cultural heritage. Trying to learn it became a great way to connect with a group of people from a vastly different cultural background than mine. Worldwide, twice as many girls as boys do not attend school, and twice as many women as men are illiterate (Girls´ Education: A Lifeline to Development, 1996). Girls are still being denied education in many areas around the globe and they must often overcome significant hurdles to stay in school. Increased access to education has been recognized as central to female empowerment (Department for International Development, 2005). Creating educational opportunities for women has far reaching impacts and is crucial for human development. This is not only because offering girls an education has been found to be one of the most powerful ways to enable women to lead the kind of life they wish to lead (Kabeer, 1999) but as the World Bank (2017) has stated, educating girls is a strategic development priority; women who are better educated generally participate more in the labour market, have higher incomes, marry at an older age, have fewer children and most importantly their children are better educated and get better health care. These factors combined strengthen the economy and help raise households, communities and nations out of poverty (Lei, Johnston & Cox, 2017). Currently, there around 50-75 million children who are not enrolled in school. Mother tongue education has been shown to be the optimal way to facilitate learning throughout elementary school (UNESCO, 2008a). Simply put, children learn best in a language they understand. They receive better immediate and long-term benefits for their intellectual and personal well-being than when they are forced to learn in a secondary language. When girls, especially from rural areas in developing countries, have better access to studies in their own language they tend to stay in school longer and do not repeat grades as often (Benson, 2005; Hovens, 2002; UNESCO Bangkok, 2005). However, mother tongue education does not receive the attention it should and is most often side-lined in educational policies despite diverse initiatives that are developing tools, models and different resources to facilitate learning programs in the mother tongue (UNESCO, 2008b). Mother tongue education has a special significance for indigenous girls and women. 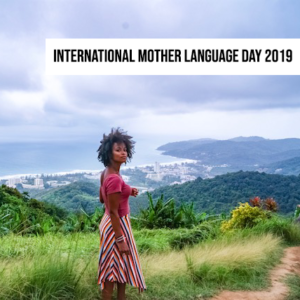 The year 2019 has been dubbed the International Year of Indigenous Languages in efforts to safeguard, celebrate and increase the understanding of the importance of languages for historically marginalized indigenous peoples. 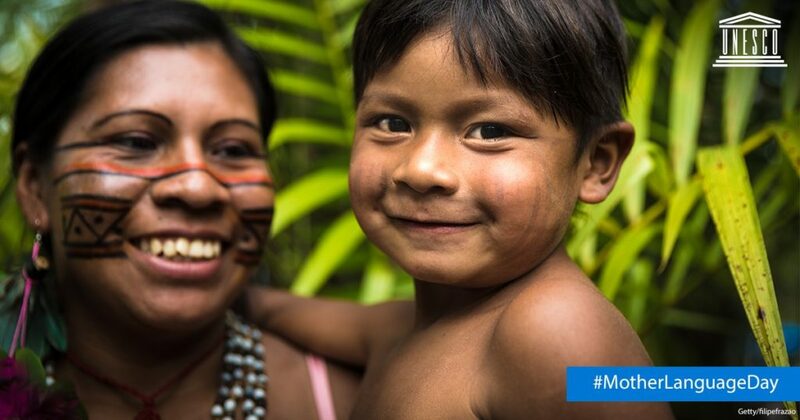 As a direct result from colonization, Indigenous and Aboriginal peoples around the world have been disadvantaged and now comprise about 15 percent of the world´s poor (World Bank, 2016). 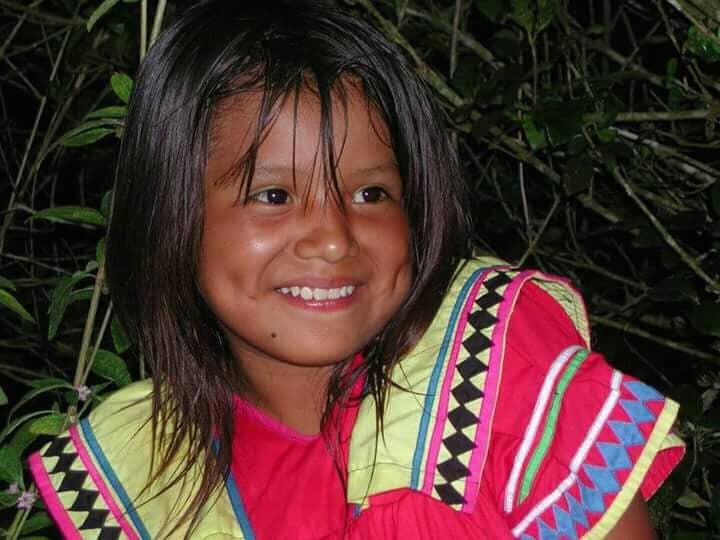 Indigenous peoples present approximately five percent of the world´s population (U.N., 2010) but are typically excluded from educational systems and marginalized from society. This applies especially to Indigenous women and girls (U.N., 2017). All women experience disadvantages, in varying degrees, due to gender stereotypes and expectations. Indigenous girls, however, face multiple disadvantages compounded by factors such as gender roles, poverty, and discrimination. This has meant that historically, and indeed up until today, Indigenous girls receive the least amount of schooling – a situation that is heightened when schools expect them to learn in a language that is not a part of their environment. Girls tend also to be given fewer opportunities to speak in class and are expected to do less well than boys (Nussbaum, 2003). For Indigenous girls to succeed, they need to be in an educational environment that honours their language and their culture (e.g., Antone, 2003; Gamlin, 2003; van der Wey, 2001). Despite the increased knowledge and research emphasizing the importance of mother tongue education, educational systems continue and often insist on teaching exclusively in one, or occasionally few, privileged languages thereby denying students culturally safe environments. ‘Cultural safety’ refers to practices that allow people from diverse backgrounds to feel safe, where there is shared respect and where there is no denial of one’s individual´s identity (Ramsden, 1990). Culturally safe practices require schools to embrace student´s cultural and linguistic backgrounds (Eckermann, Dowd and Chong, 2010). However, children are often banned from speaking their own languages in school (Arnold, Bartlett, Gowani, & Merali, 2006). This means that globally schools are denying students their fundamental human right to speak their own languages and hindering their identity development. This is then compounded for girls when intersecting factors of discrimination and exclusion build up together and force them out of the educational system. It is every individual´s right to embrace all of who they are and not be forced to reject aspects of their culture, including their mother tongue. Most people agree on the harms of cultural imperialism and want to celebrate diversity. Mother tongue education is a powerful tool to embrace the cultural and linguistic backgrounds of all individuals and facilitate towards cultural safety. All children will benefit significantly from its implementation and it will also facilitate more gender equitable societies as more girls will finish their schooling and enter new and diverse arenas within society. It is necessary then that mother tongue education be made a priority for school children across the globe and a priority in educational policies, with a special focus on indigenous girls during this Year of Indigenous Languages. Besigo’s story shows what is possible when girls are educated and are able to maintain their mother tongue. But Besigo is exceptional. Education policies should not focus on the exceptionally gifted or brave but should provide quality education for all girls (and boys). And that means education in which their mother languages occupy a center place. I joined the Rutu Foundation, because I believe that the only way we can move forward as a society is to embrace everyone´s cultural heritage, and language is at the centre of our cultural identity. When we deny, especially young people, access to their own languages – a surprisingly common practice in schools across Europe and the globe – we deny them the opportunity to fully realize themselves. Something that is made especially difficult for girls and women who are faced with barriers and discrimination in all areas of their lives. And let it be known once more that until woman and man recognize and realize equality, social and political progress here or anywhere will not be possible. For the world of humanity consists of two parts or members: one is woman; the other is man. Until these two members are equal in strength, the oneness of humanity cannot be established, and the happiness and felicity of mankind will not be a reality. 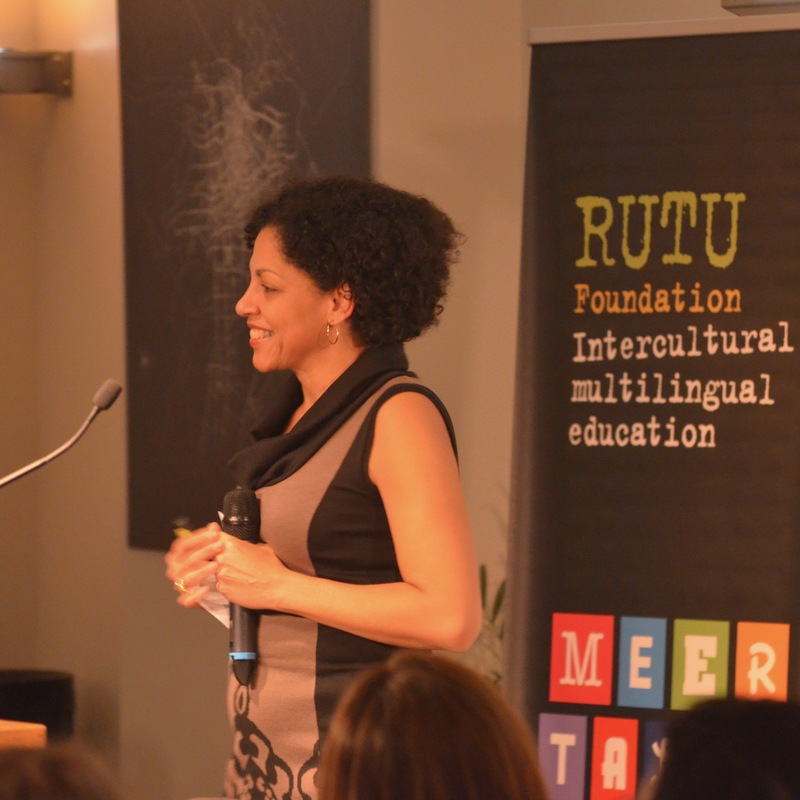 The Rutu Foundation is committed to making mother tongue education part of mainstream education everywhere. Join us. Abdul-Baha. (2007). The Promulgation of Universal Peace: Talks Delivered by Abdul-Baha During His Visit to the United States and Canada in 1912. Bahai Pub. Trust. Arnold, C., Bartlett, K., Gowani, S., & Merali, R. (2006). Is everybody ready? Readiness, transition and continuity: Reflections and moving forward. Background paper for EFA Global Monitoring Report 2007. Benson, Carol (2005). Girls, educational equity and mother tongue. Bangkok: UNESCO. Cortina, R. (2017). How to Improve Quality Education for Indigenous Children in Latin America in Indigenous Education Policy, Equity & Intercultural Understanding in Latin America, 3-25. Department for International Development. (2005). 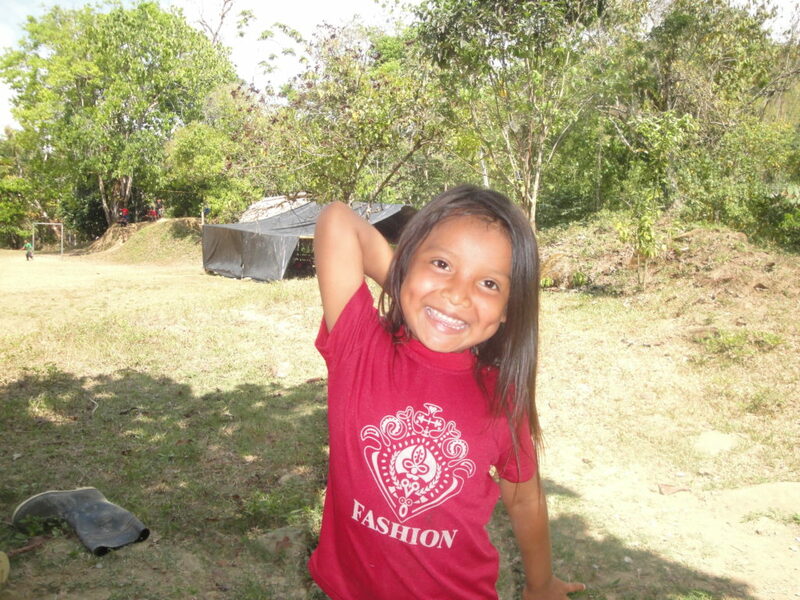 Girls´ Education: Towards a Better Future for All. Eckermann, A. K., Dowd, T., & Chong, E. (2010). Binan Goonj: bridging cultures in Aboriginal health. Elsevier Australia. Gamlin, P. (2003). Transformation and Aboriginal Literacy. Canadian Journal of Native Education, 27(1), 2-6. Hovens, M. (2002). Bilingual education in West Africa: Does it work? International Journal of Bilingual Education and Bilingualism, 5 (5), 249-266. Kabeer, N. 1999. “Resources, Agency, Achievements: Reﬂections on the Measurement of Women’s Empowerment”. Development and Change 30 (3): 435–464. .
Lei, P., Johnston, B. & Cox, R. (2017). Safer, Healthier, Wealthier: How G20 investments in girls´ education improve our world. Nussbaum, M. (2003) “Women’s Education: A global challenge,” in Journal of Women in Culture and Society. 29:2, pp. 325-355. Ramsden, I. (1990). Whakaruruhau: Cultural Safety in nursing education in Aotearoa. A report for Maori health and nursing. Ministry of Education. New Zealand. UNESCO (2005) Advocacy brief on mother tongue-based teaching and education for girls. Bangkok: UNESCO. UNESCO (2008a). Mother Tongue Matters: Local Language as a Key to Effective Learning. Paris: UNESCO. UNESCO (2008b). Mother tongue instruction in early childhood education: A selected bibliography. Paris: UNESCO. United Nations (1948) Universal Declaration of Human Rights. United Nations. State of the World’s Indigenous Peoples. Van der Way, D. (2001). Exploring multiple serendipitous experiences in a first nations setting as the impetus for meaningful literacy development. Canadian Journal of Native Education, 25(1), 51-69. World Bank. (2016). Partnering with Indigenous Peoples and Ethnic Minorities Through Community-Driven Development. (May 11, 2016). 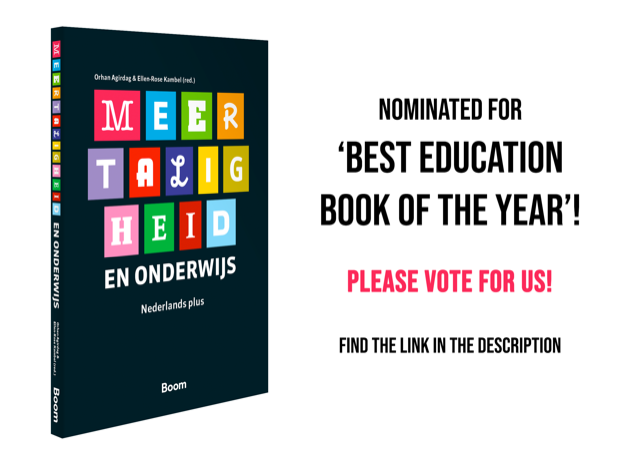 Ons boek Meertaligheid en Onderwijs. 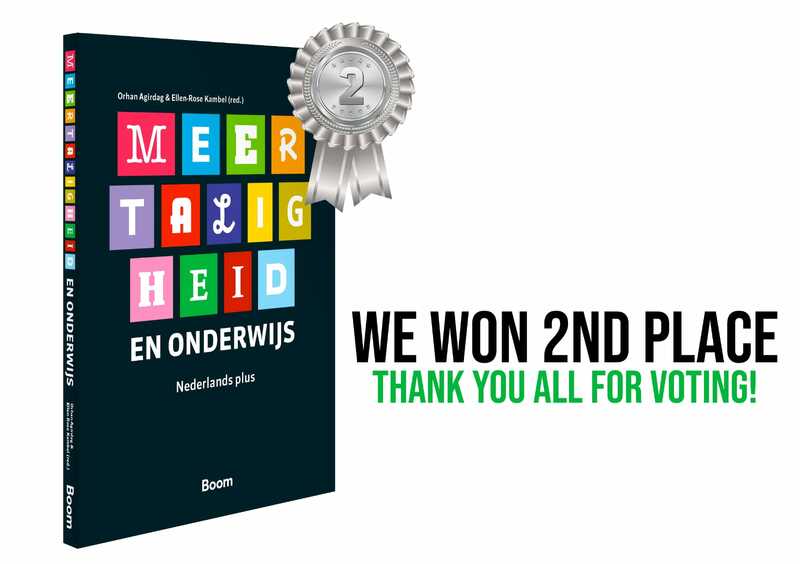 Nederlands plus heeft de tweede prijs gewonnen voor Beste Onderwijsboek van het Jaar 2018. 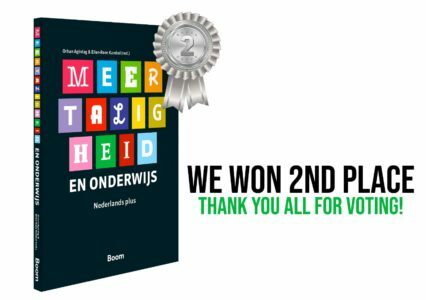 De prijs wordt elk jaar uitgereikt door de Landelijke Beroepsgroep voor Begeleiders in het Onderwijs. 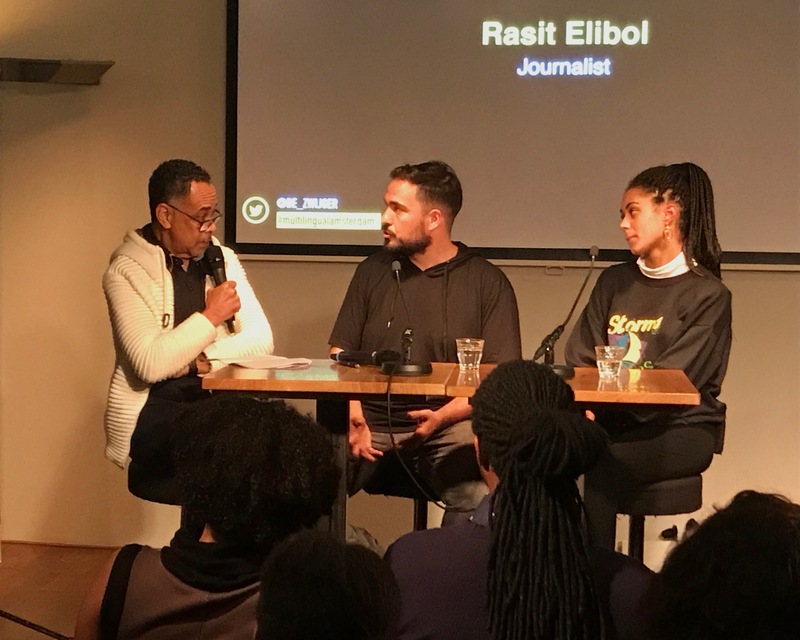 Deze publicatie van de Rutu Foundation, onder redactie van Orhan Agirdag (onderzoeker en docent Universiteit van Amsterdam/Universiteit Leuven) en Ellen-Rose Kambel (directeur Rutu Foundation), geeft de lezer op een laagdrempelige manier inzicht in de wetenschappelijke stand van zaken en het maatschappelijk belang van meertaligheid en meertalig onderwijs. Note for English speakers: the book is in Dutch, but inside the book you will find a code that provides access to the English version of several chapters. 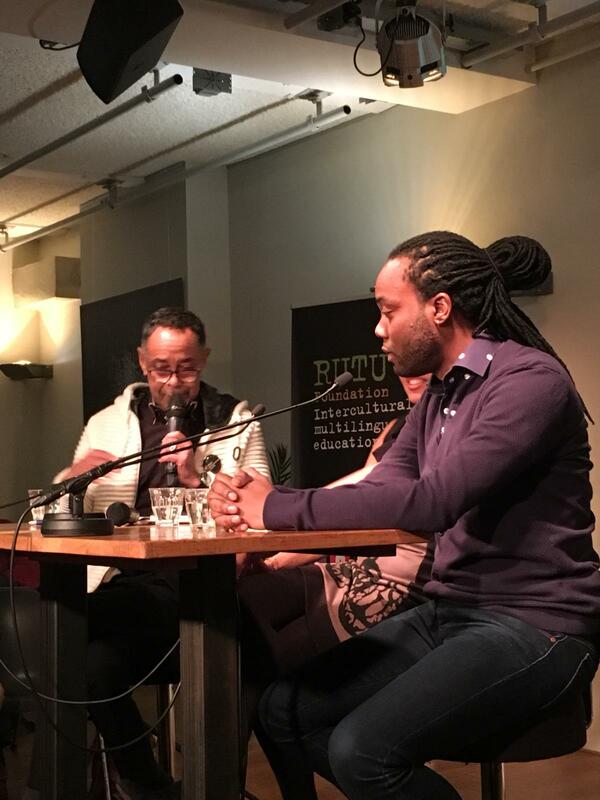 Meertaligheid en onderwijs is een uitgave van Boom Uitgevers en de Rutu Foundation voor intercultureel en meertalig onderwijs. “Wat Meertaligheid en Onderwijs uniek maakt, zijn de persoonlijke ervaringen.” (Didactief, maart 2019). Interview met redacteur Orhan Agirdag (Universiteit van Amsterdam/Leuven) in Caleidoscoop nr 1, 2019. Interview met Ellen-Rose Kambel (Rutu Foundation) in De Ware Tijd, 11 mrt 2019. Mother Tongue Education is changing lives in Thailand Children learn to read and write in their home language before bridging to the national language through a specially designed Thai language acquisition curriculum. The results in the region have been stunning. More Examples of Succesful Mother Tongue Education That children learn better when they understand the language is an indisputable fact. For International Mother Language Day, the Global Partnership for Education (GPE) reviewed the results in three countries: Eritrea, the Gambia and Uzbekistan. in Suriname with reading in Sranan Tongo, the Creole language that is spoken throughout the country but not taught in schools. 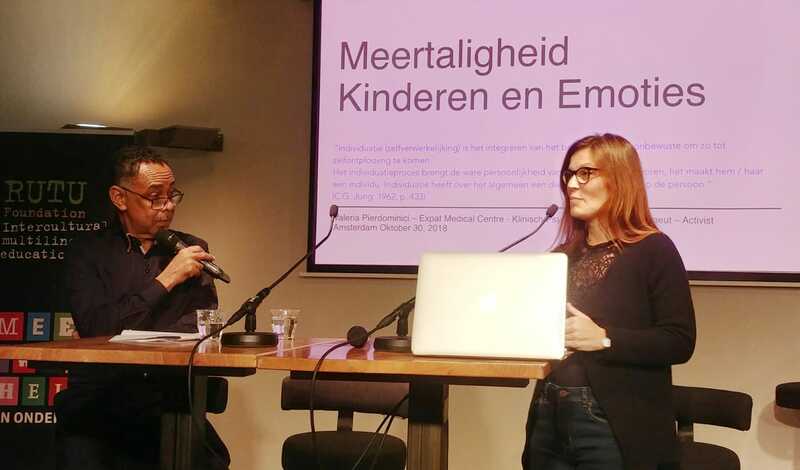 In Canada, Amsterdam and The Hague, schools organised various activities including songs, dances and games to celebrate the multiple languages children bring with them school. Indigenous peoples are losing their knowledge. We must make sure education is not part of the problem. 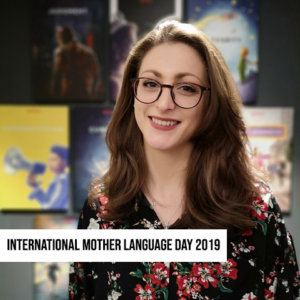 Listen to the podcast: the Permanent Representative to the UN of Bangladesh was asked why his country initiated International Mother Language Day and why should we even try to protect languages? Mother Tongue Film Festival The Smithsonian’s Mother Tongue Film Festival in Washington, D.C. celebrates cultural and linguistic diversity by showcasing films and filmmakers from around the world. It opens on International Mother Language Day and has four days of free screenings. The Guide to Language Rights of Linguistic Minorities produced by the UN Special Rapporteur on Minority Issues, was translated into the Tibetan language and released on International Mother Language Day. Mother Tongue: The Most Beautiful Gift We have. A blog post written by one of the editors of the new book ‘New perspectives on Translanguaging and Education’. 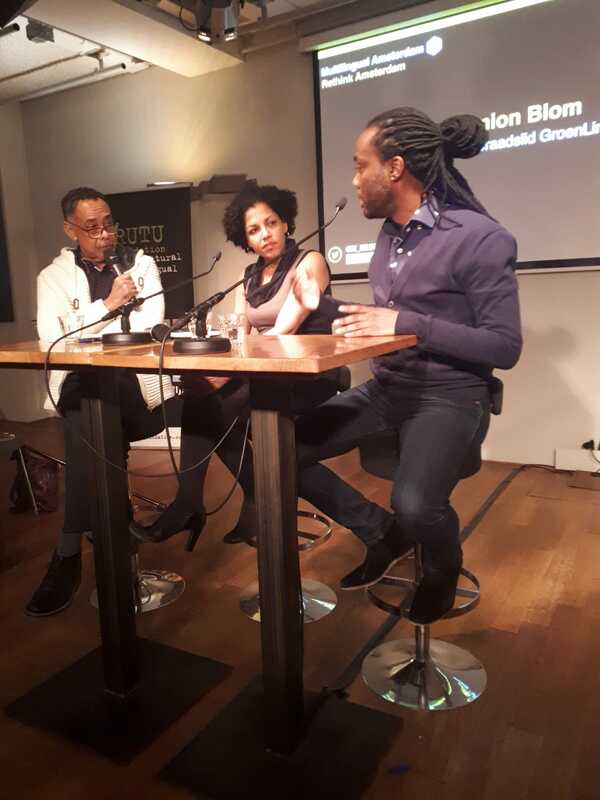 I was born in The Netherlands and have a German father and Ghanaian mother. We spoke 4 languages at home (Dutch, Twi, English and German). Even though I always loved the fact that I understand multiple languages, at times it would feel a bit overwhelming. If my mom would talk to me in Twi I would respond in Dutch or English. Or when a German family member would ask or say something I would tell my father what I wanted to say and ask him if he could respond for me. Now I can say that I am proud that I represent multiple languages and nationalities. I think that is why I always have been eager to travel the world and explore more languages, nationalities and cultures. I have been to Ecuador for an exchange program of six months, where I learned Spanish (language #5). Hopefully one day I will add a sixth language. I was raised in a bilingual household where my family spoke Spanish and Dutch to me all the time. Only when I started going to school I began to notice that it was only my family who was able to understand me when I spoke a mix of Dutch and Spanish. My parents decided to return to Argentina for a year when I was 7. Keep reading Shantal’s story. In Argentina I attended a school where only Spanish was spoken. I was welcomed with open arms. Not only my family helped me understand the difference between my two mother tongues, but also the teachers and students. I never felt left out or excluded, even if I accidentally mixed the two languages or didn’t know a certain word in Spanish. I remember they were patient and encouraging. Back in The Netherlands I became aware why it was that people couldn’t understand me when I spoke Spanish. 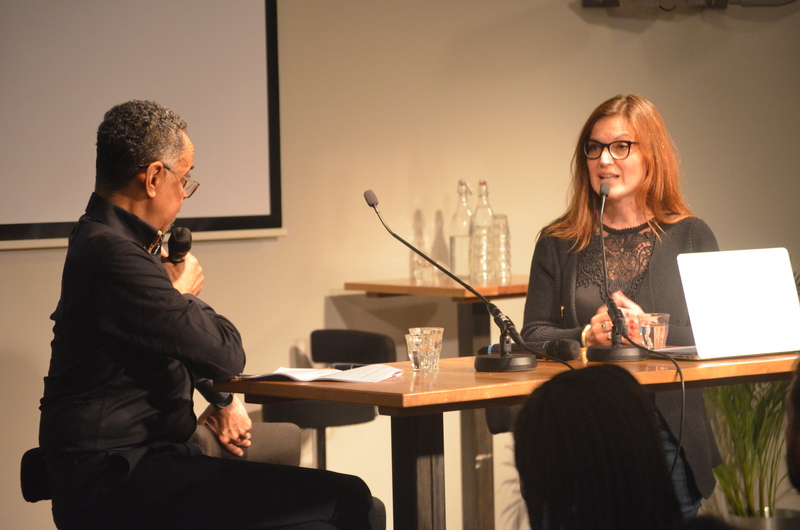 After that I never had any problems of miscommunication or exclusion by peers in the Netherlands. I remember I only had to take extra Dutch classes during school hours which was mandatory for all bilingual students to help us keep up with the same level as the native speakers. I am very grateful for my parents for my bilingual upbringing. My mother always told me that languages are like keys to open doors and I fully agree with that. Communication is a big part of being able to understand somebody else and therefore important in going forward in harmony with your surroundings. The month of October is dedicated to Indigenous people in the Philippines. 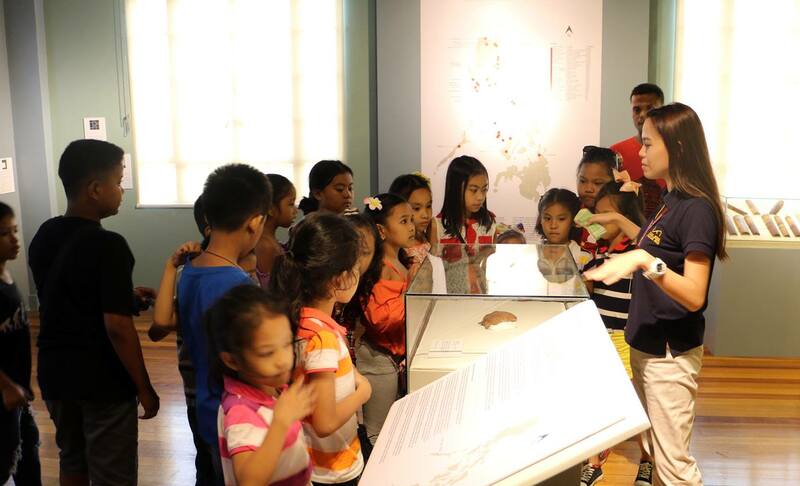 This year, after two years of hard work, the Negrito community – considered the oldest civilization of the Philippine archipelago – partnered with the National Museum of the Philippines to open a permanent exhibition entitled “Tradition, Ecology and Knowledge Among Philippine Negrito Communities”. Deze handleiding die zowel door lerarenopleiders als leerkrachten in Suriname, Nederland en Vlaanderen gebruikt kan worden, geeft theoretische achtergronden en praktische toepassingen bij het voorbereiden van toekomstige leerkrachten op een cultureel diverse en meertalige klas.